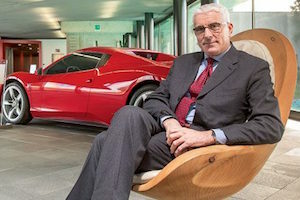 Silvio Pietro Angori, chief executive officer and managing director of Italian car design company Pininfarina SpA, will explore “When Style and Engineering Meet the Future: The Turn-around of an Iconic Design” at Drescher Graduate Campus in Malibu on Monday, October 15, at 6 PM. Hosted by the Office of Alumni & External Engagement at Pepperdine Graziadio Business School, Angori will lead an engaging session on the future of design and engineering in the context of a changing global economy. In examining a world where the idea of materialistic possessions is fading away while the need for experiences is becoming increasingly important, the international business expert will discuss the challenges and opportunities for iconic companies such as Pininfarina SpA. For additional information about this free event, visit the Graziadio Business School event registration page on the Pepperdine website.